Get the Marc Jacobs look at a fraction of the price with this gorgeous summer dress from Red Herring at Debenhams. Finish the look with a straw hat and bold, bright accessories. 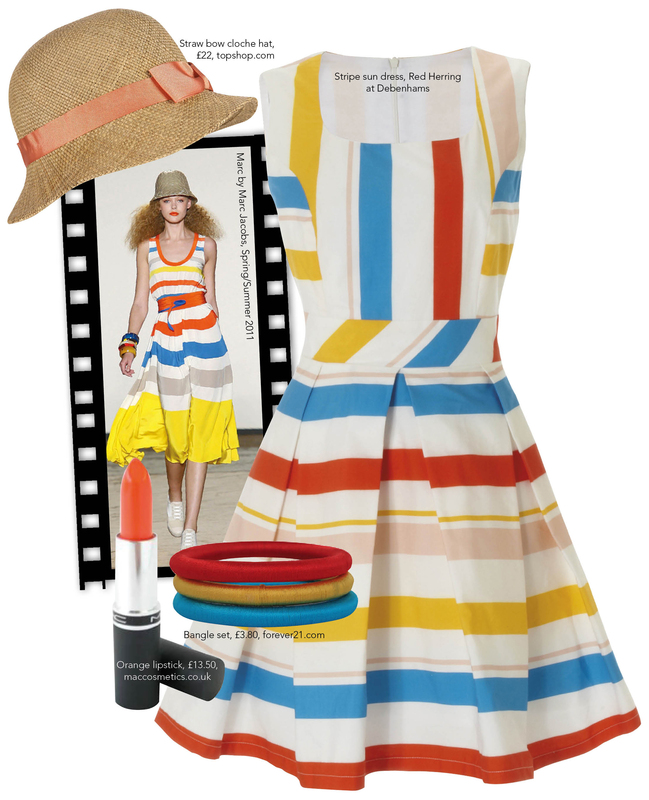 This entry was posted in Catwalk | Copycat and tagged blue yellow, catwalk copycat, debenhams, forever 21, lipstick, mac, marc by marc jacobs, orange, red herring, spring/summer 2011, stripe sun dress, topshop. Bookmark the permalink.